Do you want to know which visual marketing strategy is best for your brand? Every landing page must have some type of visual content. According to this data: Users pay close attention to photos and other images that contain relevant information. (Nielsen Norman). So, a website or a blog is important for every business. They act just like a virtual ID card, where you can advertise your products or services, market them through visual and written content and attract more leads and visitors that may convert into customers. A website is cost-effective, easy to set up and maintain and it is life 24/7/365. There are no working hours, it’s on around the clock and it may facilitate a better communication with your audience and thus, build a more trustworthy relationship with them. Every small, medium and big business should have in 2018 its own website or blog. Content marketing can be cheap and effective nowadays but it is not the whole reason to set up your own online presence. There is other information available on a company website, besides the usual „valuable content” we use to publish on blogs and professional websites focused on tips and advice. A company website contains everything that your customers need to know about your business and it will help them make the commercial decision easier and better. And if you don’t know how to create a web page there are these webpage builder that will help you do a great job. We know that almost all people are making their purchase decisions after they have researched their options on search engines. This piece of information should be enough to set up your business website and start converting organic search into profit. Also, we know that marketers who use blogs get 67% more leads than those who rely on other marketing strategies while 81% of the US online consumers trust the information they read on blogs and follow the published advice when making a commercial decision. 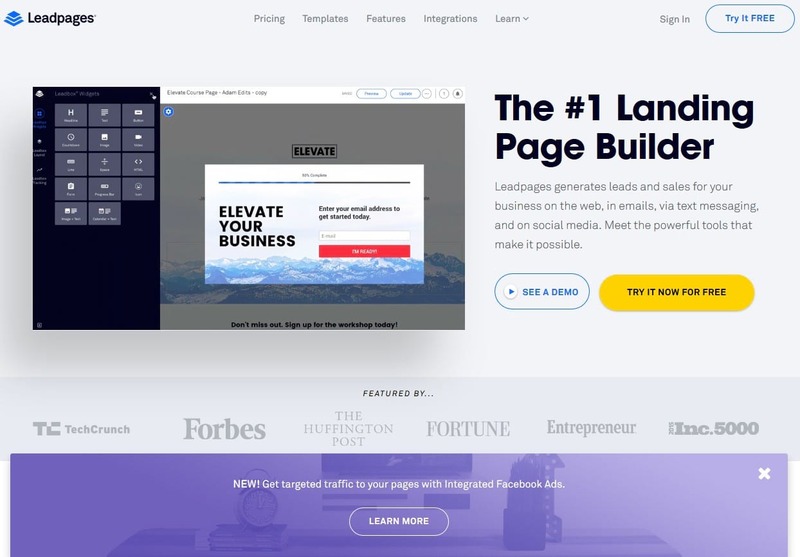 Let’s get to our main topic and discuss now the main types of visuals that you can use on your landing page. Data-driven visuals are all the graphs and charts you use in order to support your written data or to represent visually your stats and numbers. They help your audience better understand what you are saying and get an effective visual representation of it. According to Quicksprout, articles and blog posts that feature data-driven visuals are receiving on average 258% more trackbacks than blog posts with other types of visuals. They are valuable from an educational point of view and more likely to be shared even after they are a few years old and not so fresh anymore. 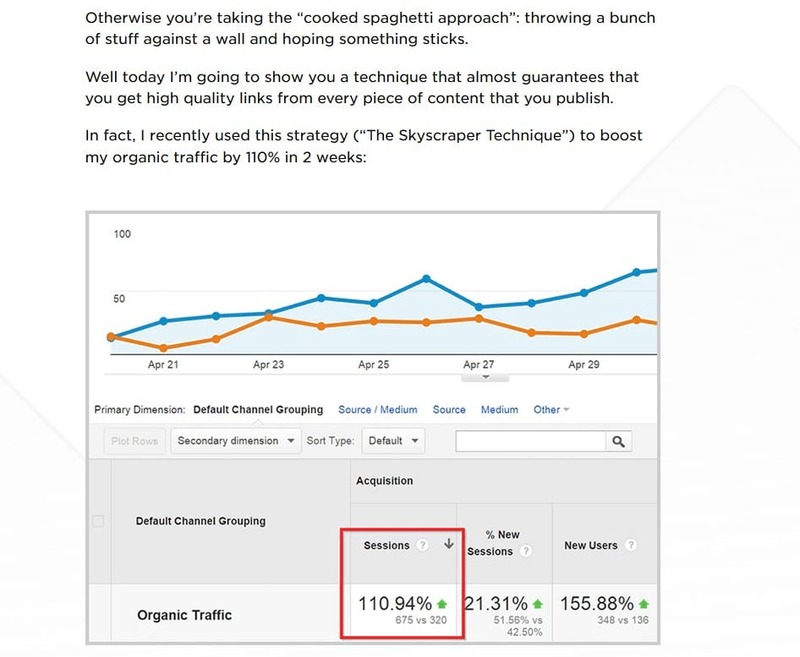 Here’s a screenshot from Backlinko.com, which shows us how a section of a blog post backed up by data-driven visuals looks like. You can clearly see how information is easier to comprehend and share on social media or on other websites. Testimonials and quotes from clients represent yet another great way of conducting visual marketing right on your landing page. These visuals are based on text but they have a huge impact on your potential customers. People trust other people’s recommendations. The word-of-mouth is an effective marketing strategy and it worked since the dawn of civilization when it was probably the only strategy available. They build trust, overcome skepticism and make you credible. Moreover, the level of trust can be up to 12 times higher than the trust generated by the reviews and descriptions published by the manufacturer or the seller. 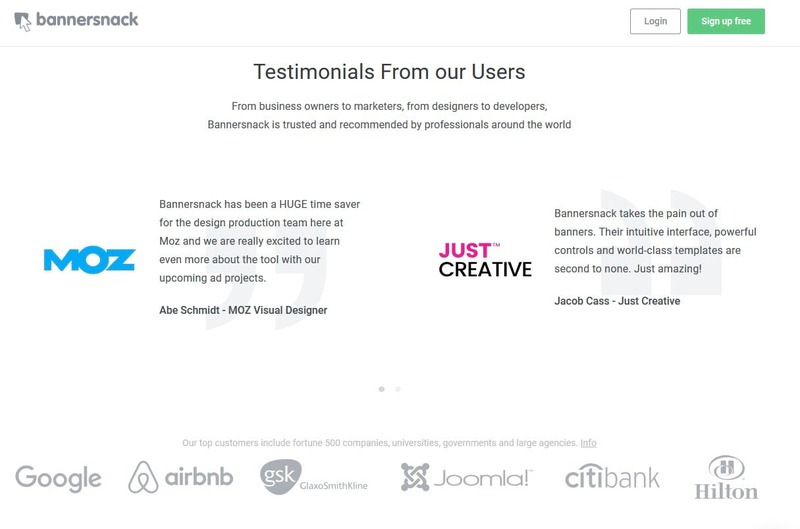 A great example of a good use of customers’ testimonials on the landing page comes from Bannersnack. The following screenshot will help us understand how these visuals look like. When it comes to video content, you can do almost anything you can imagine in order to attract your customers and generate leads. Starting with the tutorials and up to the UGR sections, these types of content may prove to be quite effective. 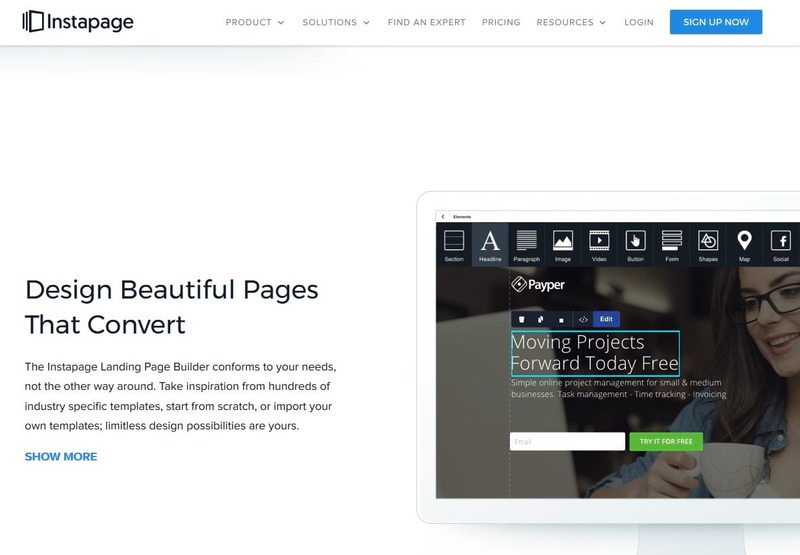 Take for example Leadpages. Their lead page starts with a demonstrative video which shows their customers how their product works. This is a great idea when you are selling a software or a product that needs a little bit of knowledge prior to using it. 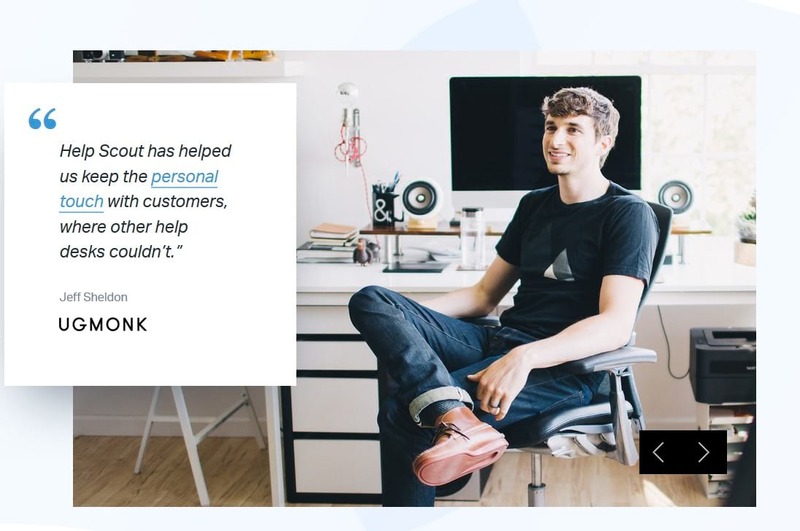 We’ve already seen that testimonials are a great way of marketing your business when they are shared on your landing page. These visuals are not all meant to be static, however. If you have the means and the resources necessary to create video testimonials, there’s a good chance that they will have a similar or even better impact, depending on your audience. What are the benefits? Well, social proof is reported to be very important in your marketing campaign. People believe reviews made by other people and they are 63% more likely to make a purchase if the website features ratings and reviews. Almost the same percentage applies to people who buy online services and products. 64% are more likely to make the final purchase decision after watching a video. For a better understanding of how video testimonials can be implemented, take a look at Invision’s website. The screenshot available below presents us with a video testimonial share right in the header section of the website. If you want to present an app, screenshots are the best visuals you can share with your audience. They will allow them to see your product in action and at the same time, see how the user interface looks like and make their purchase decision based on real facts. Also, you can use screenshots when you want to market tutorials and how-tos and use such an article as a landing page for your advertising banners. Dustin Lee writes, in a great article dedicated to the art of using screenshots. „They care about what it can do for them”, he concludes. And, this is why these visuals are a great choice for a landing page. They share something real. They show your product in action. Here’s a great example of how to use screenshots when you want to market a specific product. 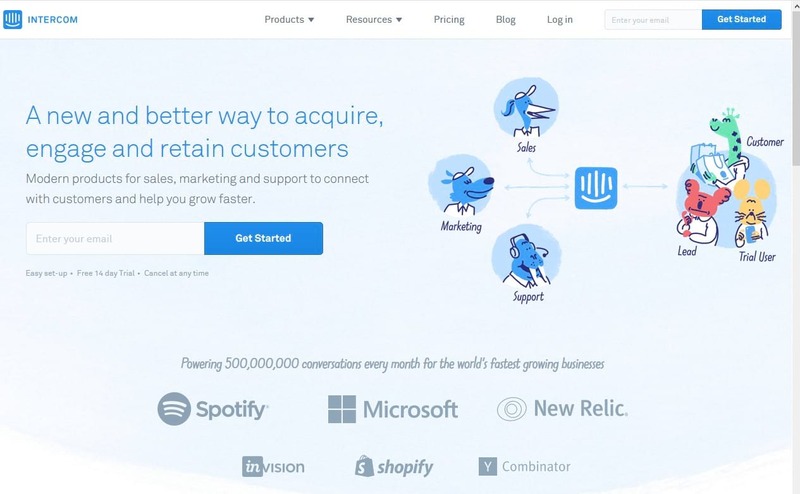 It comes from Instapage’s landing page which features several screens that are meant to highlight and compliment each feature of their app. There are many ways in which you can use photography on your landing page. For instance, you can shoot your own professional photos and present your office or your team to your clients. At the same time, you can choose stock images to do the same thing or, if you own a blog, to complement articles or sections of your website. Your customers, however, will better appreciate real photos of real people, instead of the stock imagery. We’ve covered this topic already and we know how powerful are testimonials and how easier is to generate leads if you can show your clients how your products are being perceived by other content clients. Why not pair these testimonials with real photos of your clients? Why not give them more credibility by allowing your audience to see the person behind each positive review you have received? Take for example Helpscout. 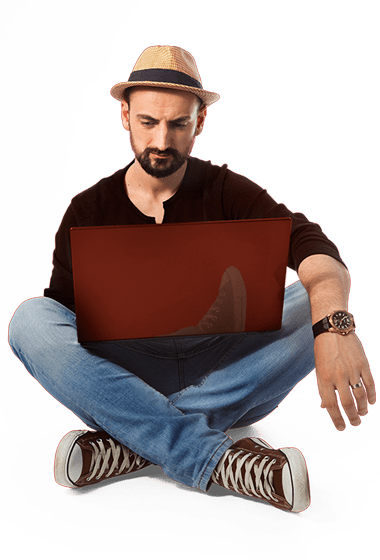 Their landing page starts with a series of testimonials and photos of the people who wrote them. There are many types of visuals you can use on your landing page but illustrations can really make you stand out from the crowd. If you have the appropriate budget to hire professional designers to create illustrations for your website, do it without hesitation. Illustrations will make your page look more attractive by also showing talent and creativity. I am not saying that all your clients will be stunned when landing on your website but there’s a good chance they will be pleased by the look of it and maybe even share your content. Here’s a great example of a landing page that features creative illustrations to make their offer more visually attractive. There was a time when many websites featured animated Flash graphics and flipbooks. Fortunately for the average Internet user, Flash embeds have become scarce, since they are not always compatible with web browsers and consume valuable resources on laptops and mobiles. Fortunately, with the help of HTML5, we can now create flipbooks and presentations and easily embed them on any web page without causing resources drains on our audience’s computers. There are no incompatibilities either. Why use a flip book as a presentation for your product/s? Well, the answer is easy to come with: they look great. They show creativity, inspiration and give your page a really professional look. 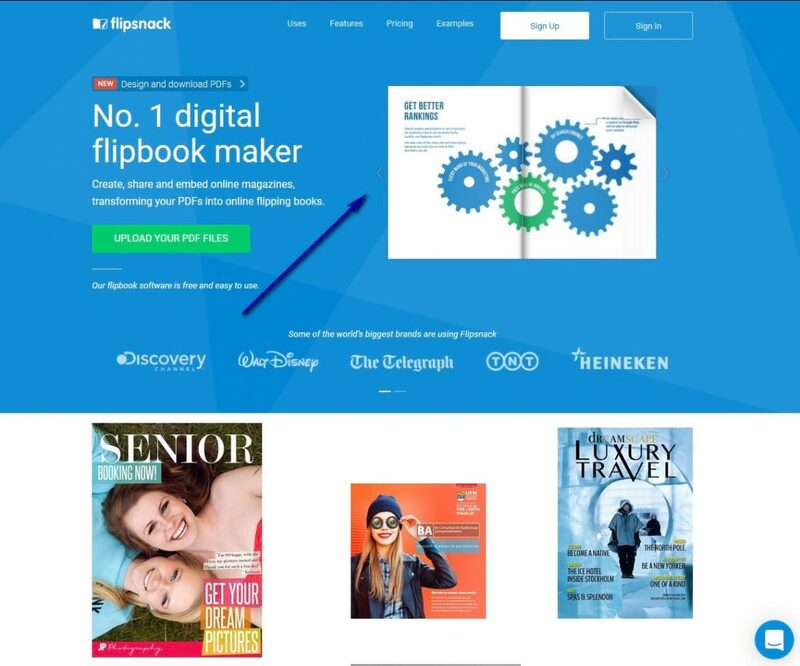 Take a look at Flipsnack’s main page and see the flipbook in action. Sure, their product is a professional tool for creating flipbooks but what a better way to present your product than seeing it in action? I’ve presented so far many ways you can market your services or products and enhance visually your landing page. They are all branding elements but mostly, they present you, your services and your successes. What about changing the tune and switch on to another great idea? I am talking about another great visual proof of your success but this time, it is based on the visual brands of your clients. If you work with big companies, businesses and brands that are recognized among the members of your targeted audience and the average Internet user that might land on your page, take advantage of it. Present their logos, their success stories, and even some good written testimonials and create a collage that is able to convince your clients that indeed, you are what they are looking for. 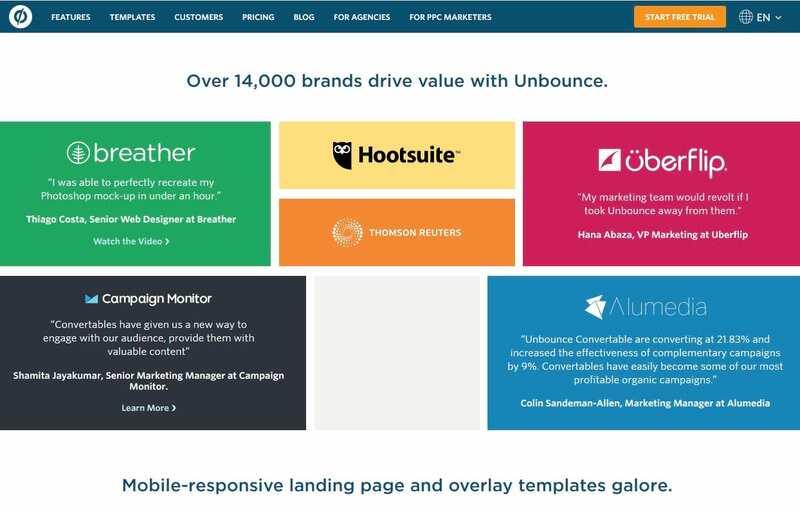 Follow the example of Unbounce and make your landing page irresistible. 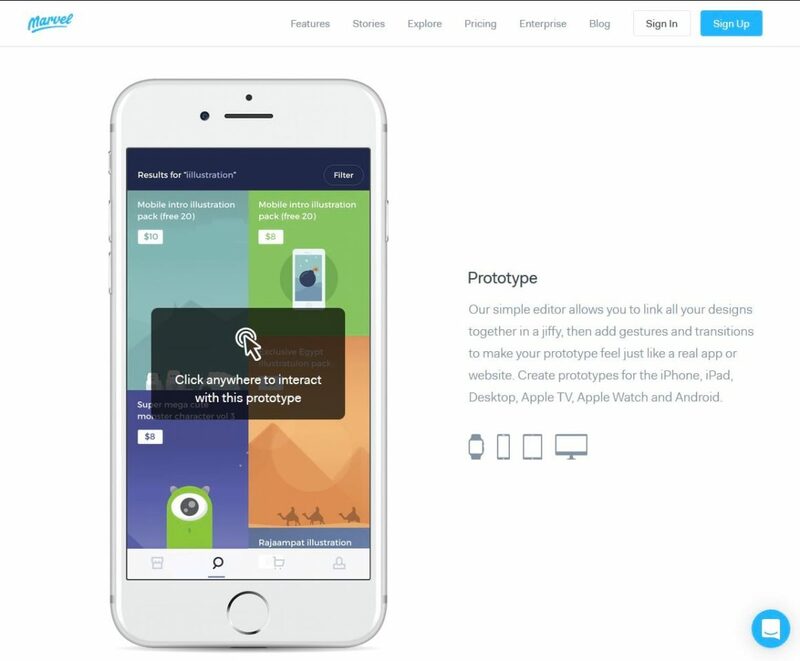 Marvel App is a web-based professional tool that allows its users to create interactive prototypes for mobile and desktop devices out of their designs. Thus, it is easier to present them to your clients exactly on the device they were created for. If you are a designer, presenting some of your prototypes on your professional website may be a great visual choice, especially if you are looking to find customers from a specific industry that requires such designs. Marvel App gives us a great example in this case on how an interactive prototype looks on their main page. The example is also useful for them as a marketing tool, allowing their customers to see exactly what they are buying. Yes, you can use icons as well on your landing page, in order to highlight specific categories or specific benefits for your customers. Also, there are businesses that use icons to illustrate their main services or product categories. Why are they a good choice? Well, they add to the overall visual look of the website and also, to its typography. Texts look better with generous white spaces and images that break down different paragraphs or ideas. 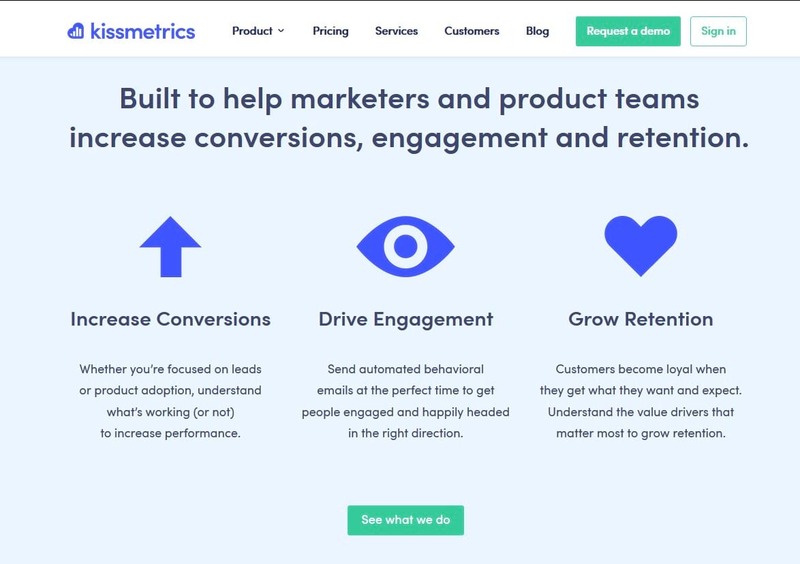 Let’s take a quick look at Kissmetrics website. Their set of three icons to illustrate three of their main services arise a great example of how to use of these types of visuals on a landing page. I am sure you’ve already noticed that most of the websites and blogs that are live in today’s web environment feature different sets of social media icons that invite the audience to interact with them. They are important because most of today’s people are on social media. Maybe they’re not all on Instagram or Pinterest on Facebook. However, as long as you are active on several social media websites, there’s a good chance you will get to everybody in one way or another. Considering that 69% of all adults use at least one social media website, you cannot be wrong by choosing to integrate it into your landing page. 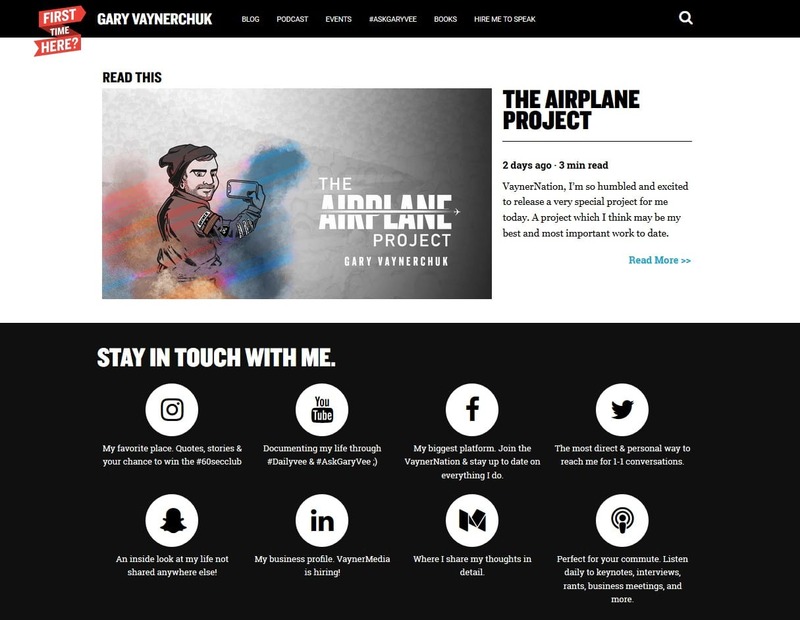 In this case, my example comes from Gary Vaynerchuk, whose main page features not just mere social media icons but also some original descriptions and guidelines for the audience, regarding each of the social media websites he is active on. If you are selling technological products or components, you can benefit from displaying their specs on your main page. This may prove to be an excellent decision because this data is not only valuable to the customer but also informative. And customers need detailed information, real information, in order to make a conscious purchase. 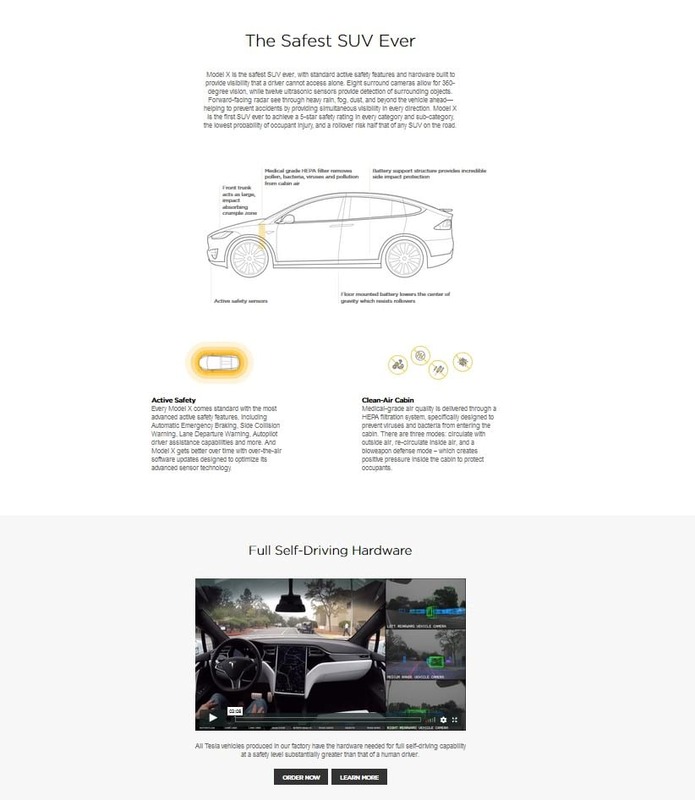 Take for example Tesla, the company who features their latest electric automobile on the landing page of the product’s main page, with full technical specs that are meant to advise the buyer on what this model is and which are its main features. 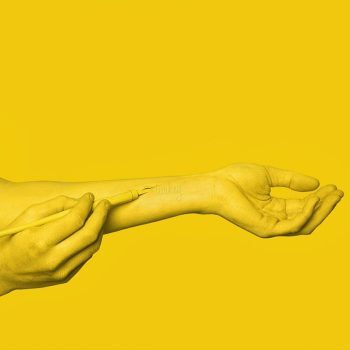 When it comes to marketing, there should be no limits to your creativity. This is important in every aspect of your campaign but you should start by focusing on your landing page. Here, we’ve discussed together some the most important types of visuals you can use on a website in order to market your products and services and of course, attract more leads. What do you think about this list and which one of these elements are featured on your website and/or blog?